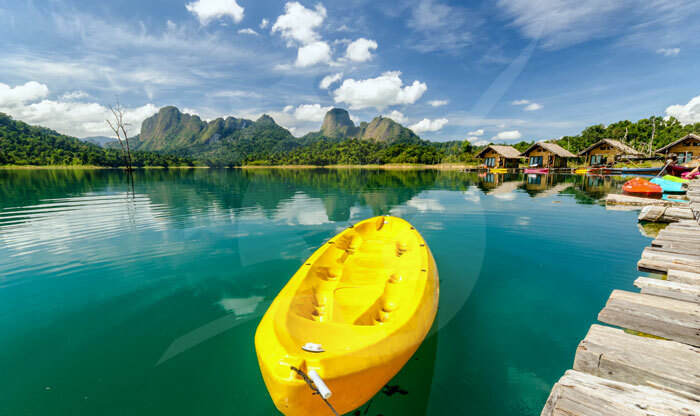 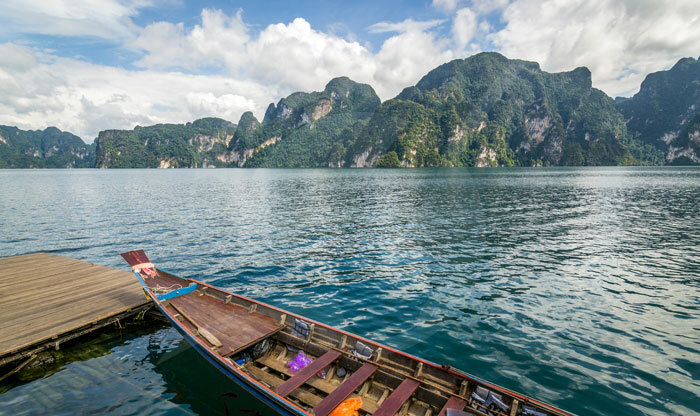 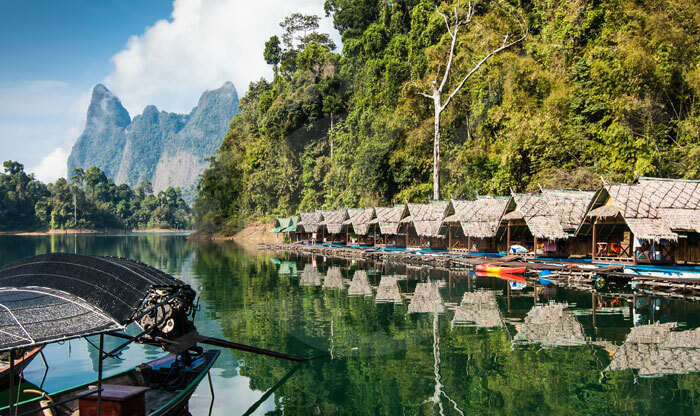 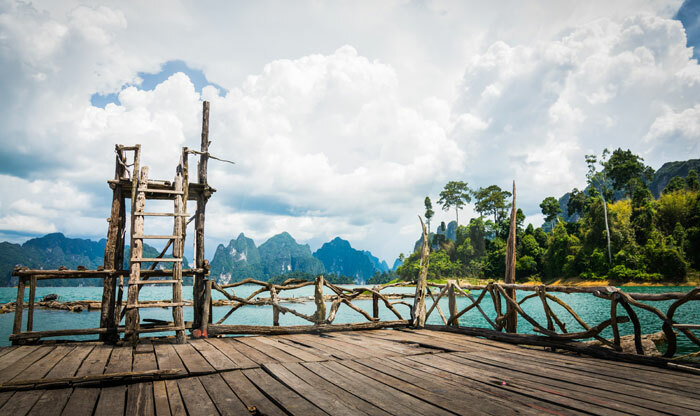 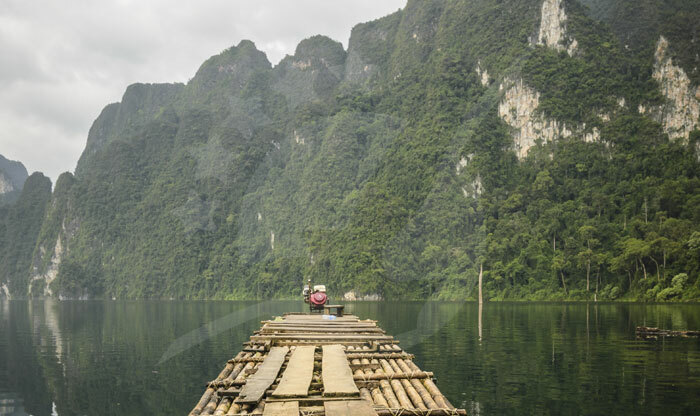 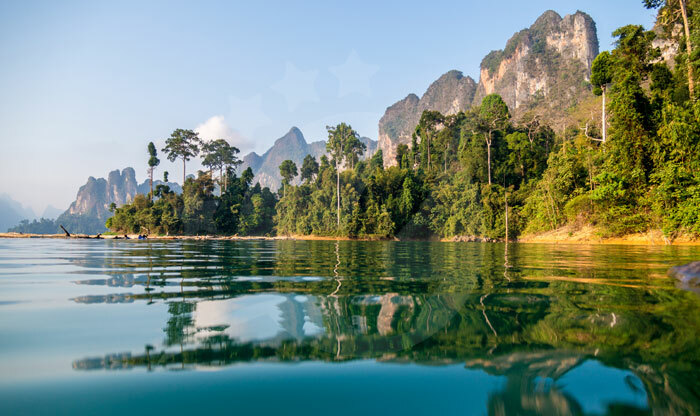 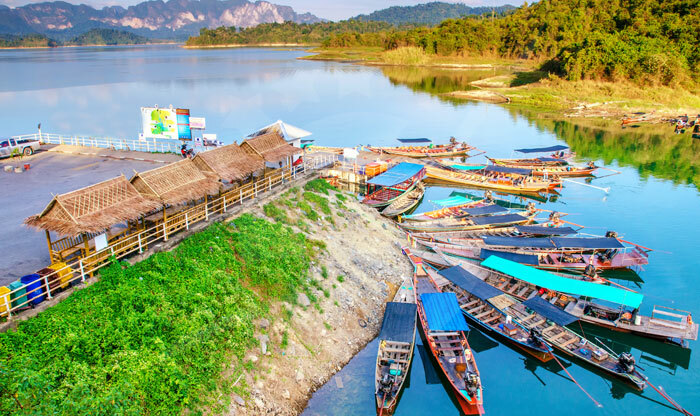 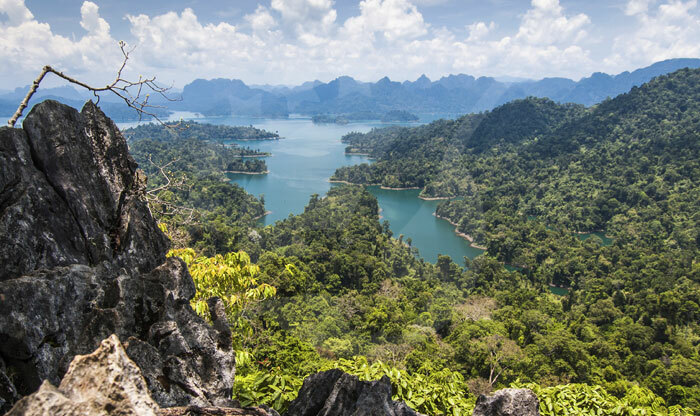 If you’re looking for an amazing adventure away from the crowd, the Khao Sok National Park should be your next destination. 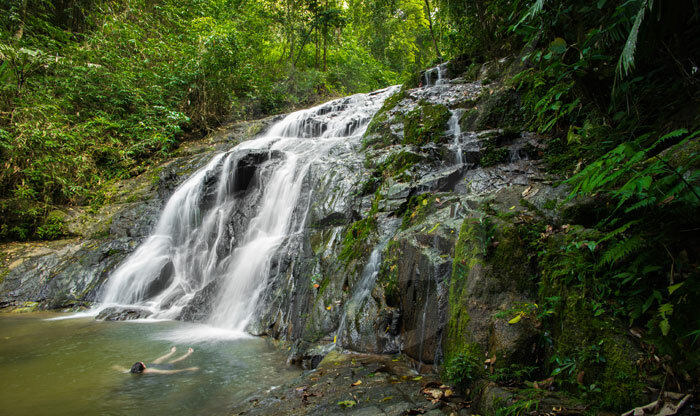 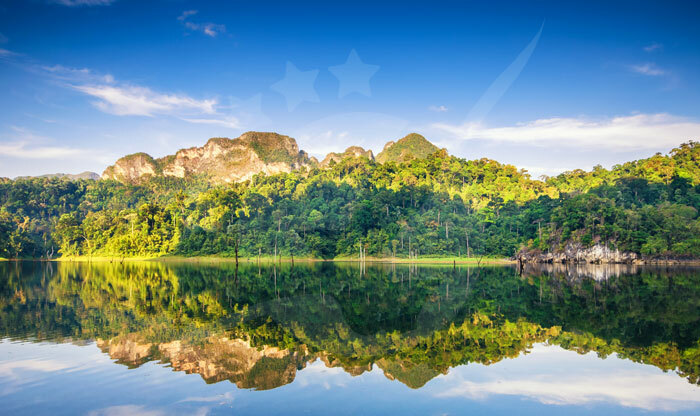 The park has one of the most ancient rainforests in the world, some say it is older than the famous Amazon rainforest and is more diverse. 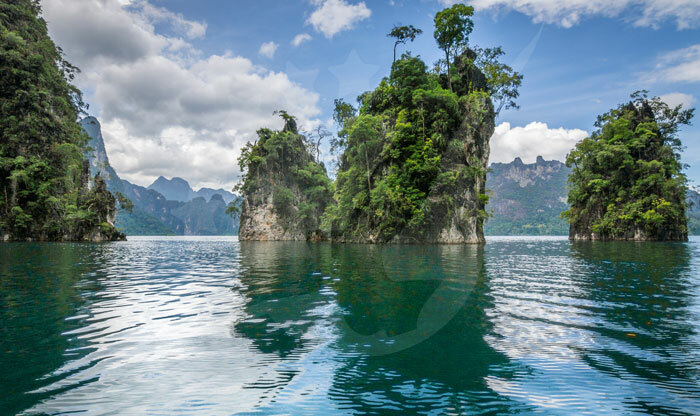 Khao Sok Park has plenty of exciting caves, wild animals, valleys, breathtaking lakes, and it’s all surrounded by the enormous limestone mountains. 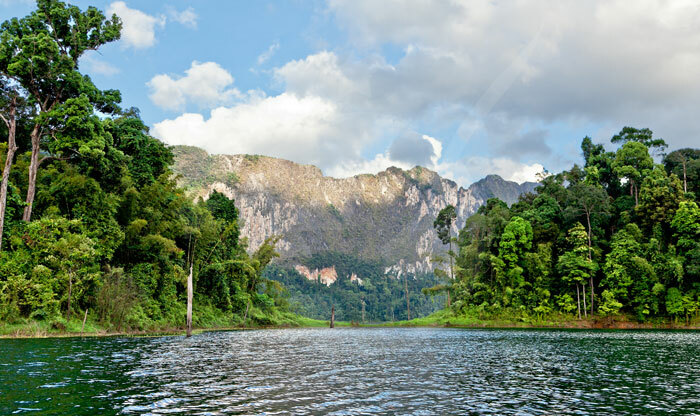 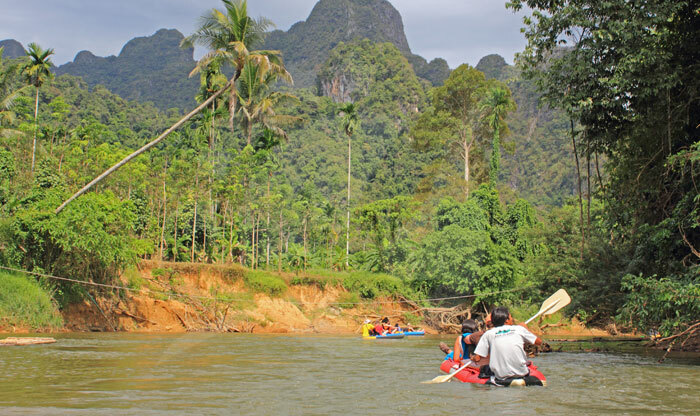 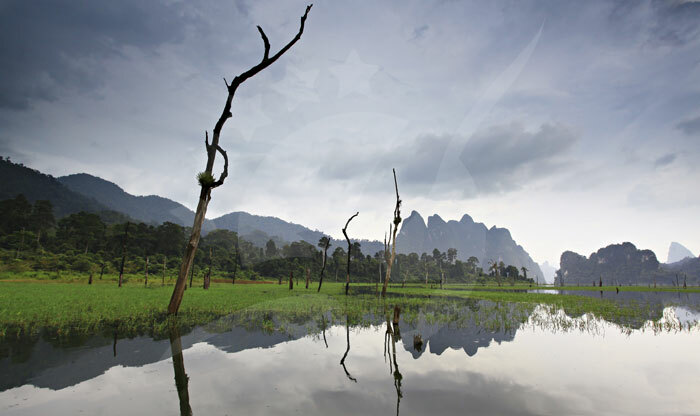 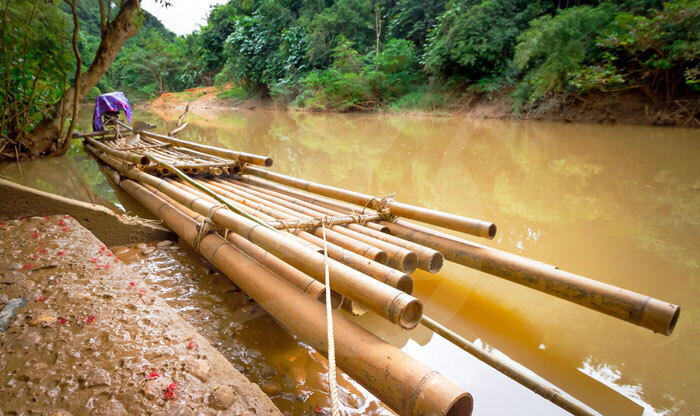 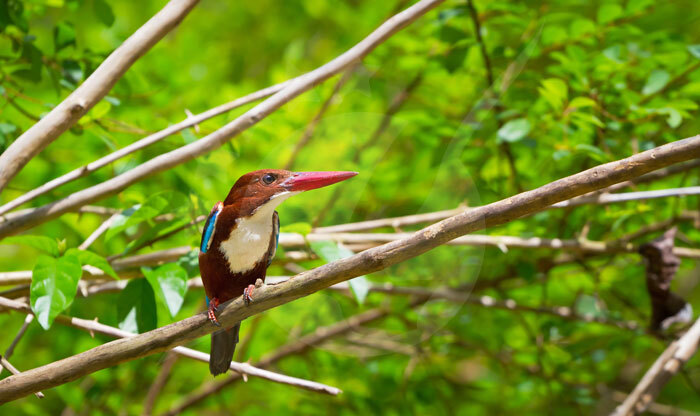 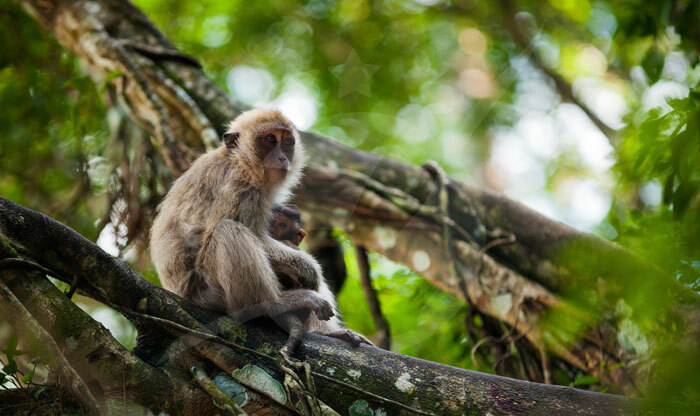 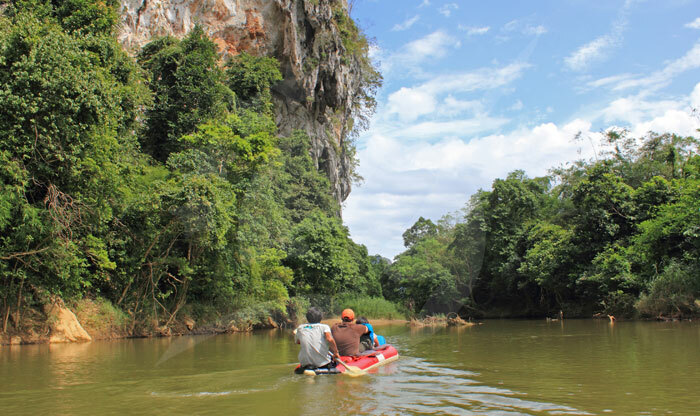 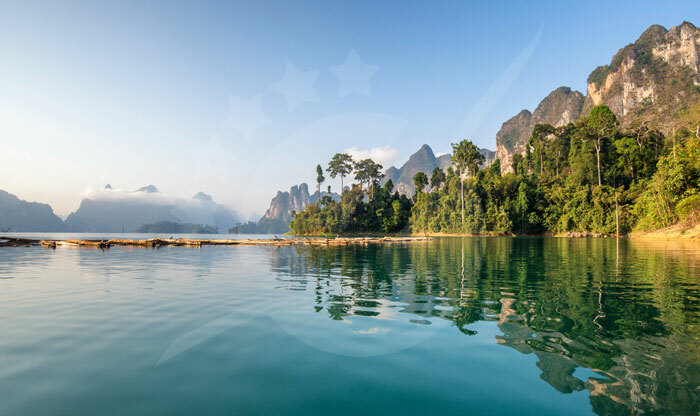 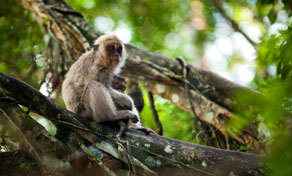 Khao Sok National Park has a vast variety of wild animals, bats, and insects that you might not find them anywhere else. 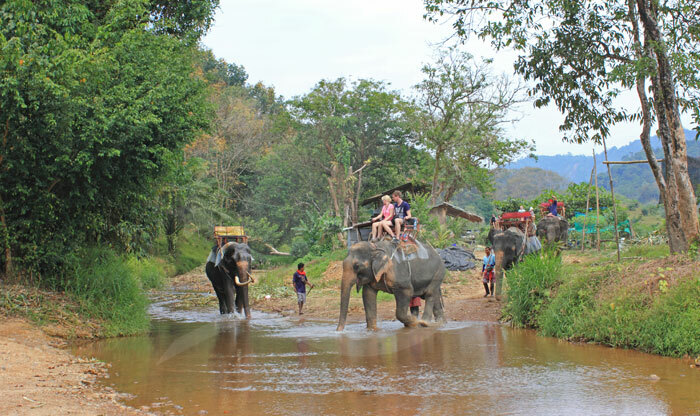 During the rainy season, you may see gaurs, tapirs, bears, deer, gibbons, elephants, cats, and if you’re lucky enough you may even see a tiger. 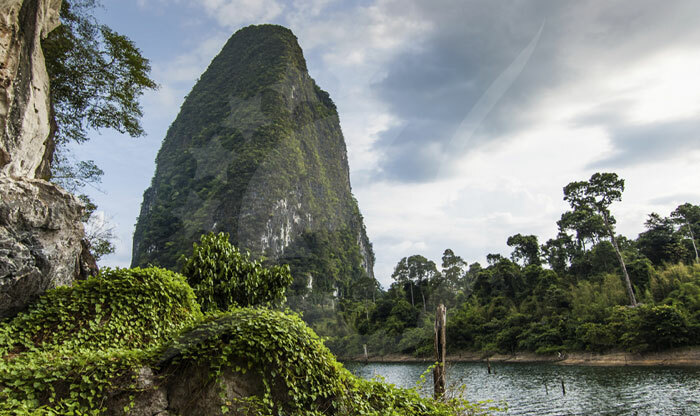 There are more than 37 bats and 300 birds species, not to mention the largest flower in the world “Rafflesia Kerrii”. 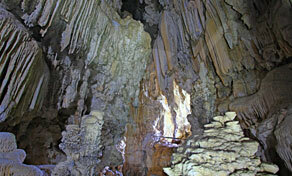 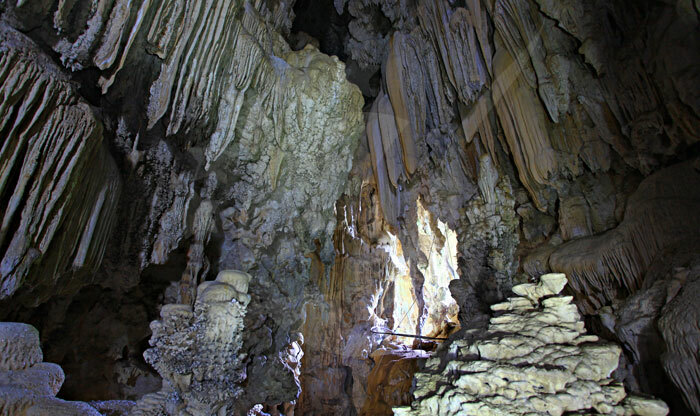 Pra Kay Petch Cave is one of the best caves located in the National Park. 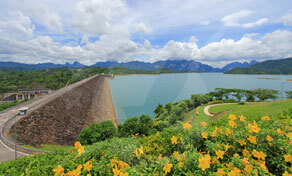 It is only 18 kilometers away from the main pier and you will find it in Klong Ka of Cheow Lan Lake. 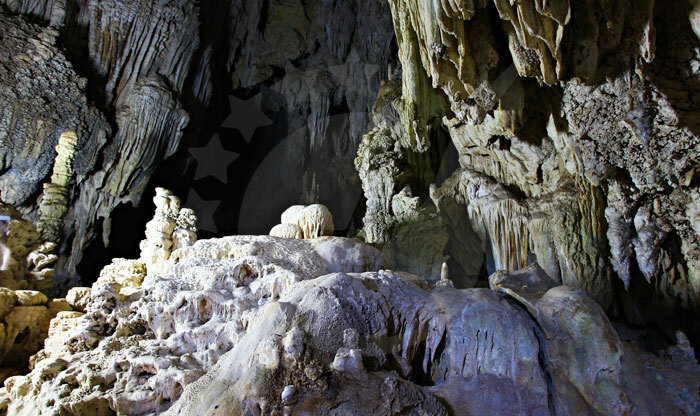 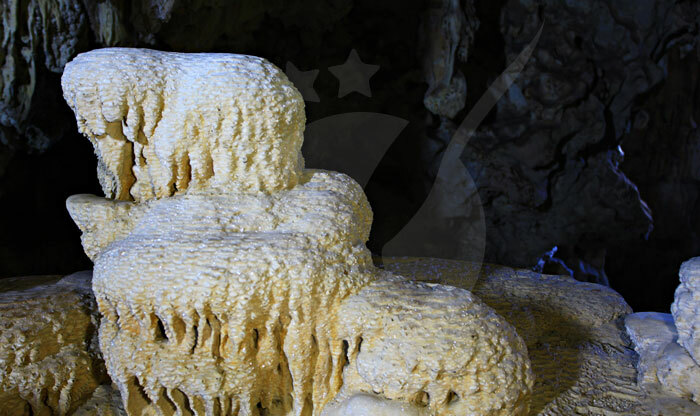 This cave is home to different species of bats so don’t forget to bring your flashlight as this cave can be very dark. 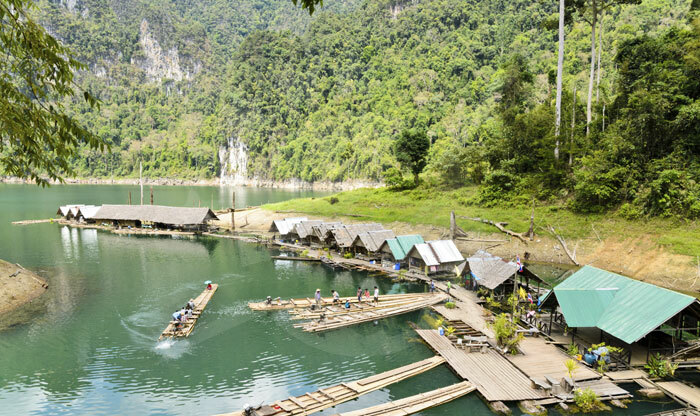 You can stay at one of the raft houses near the cave in Nang Prai and Klong Ka. 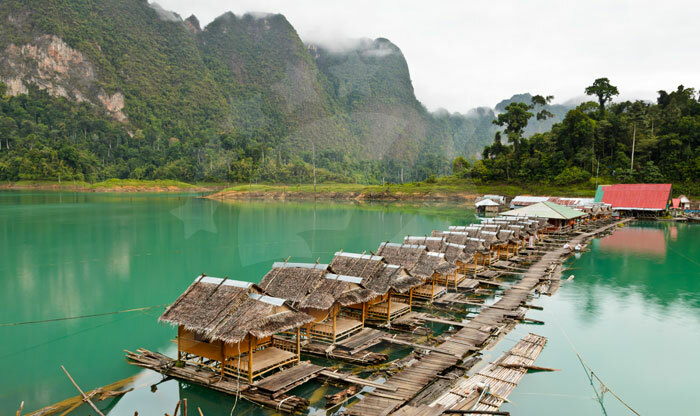 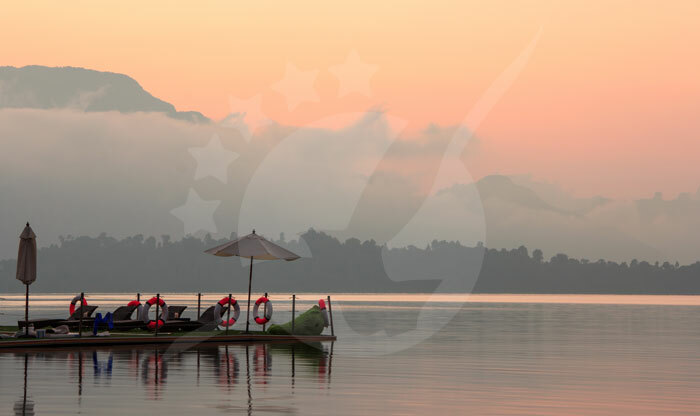 It is also called Khao Sok Lake, and it is the park’s most popular destination. 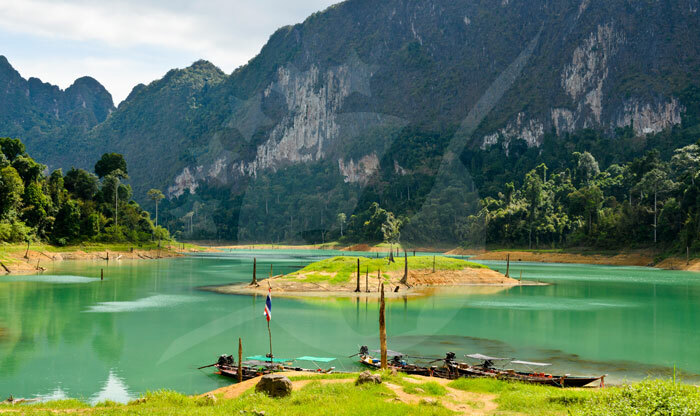 It is an artificial lake that is 185-kilometer-square and it is one of the most scenic places to go to in all of Thailand. 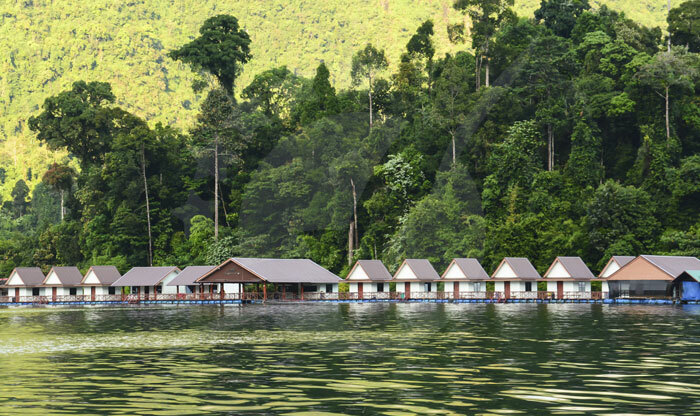 You can stay at one of the floating bungalows or raft houses spreading all over the lake’s area. 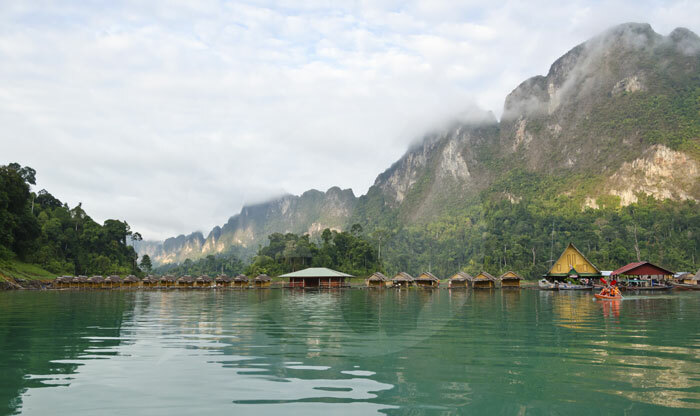 Or you can go on a trip to visit the caves, swim, and having lunch at a raft house. 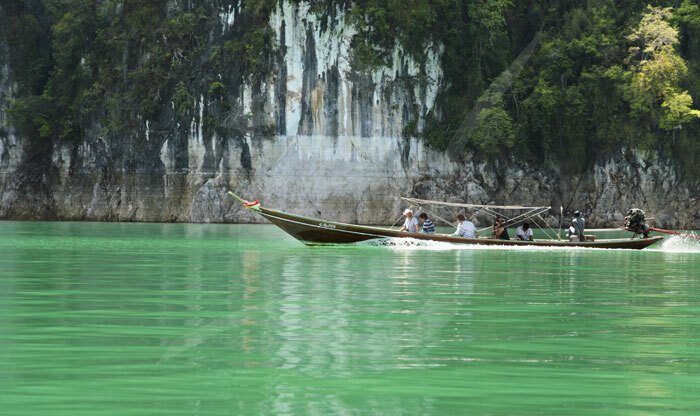 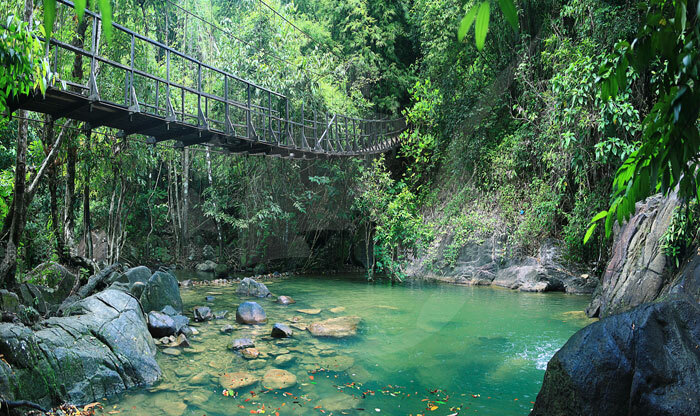 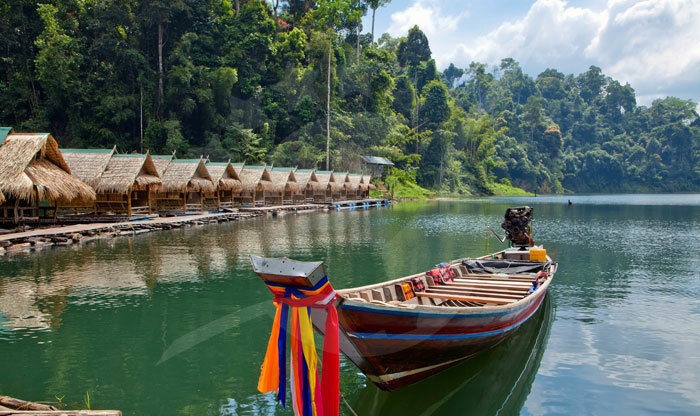 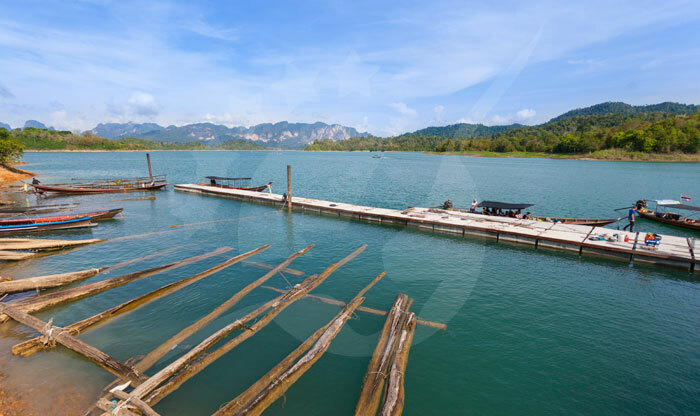 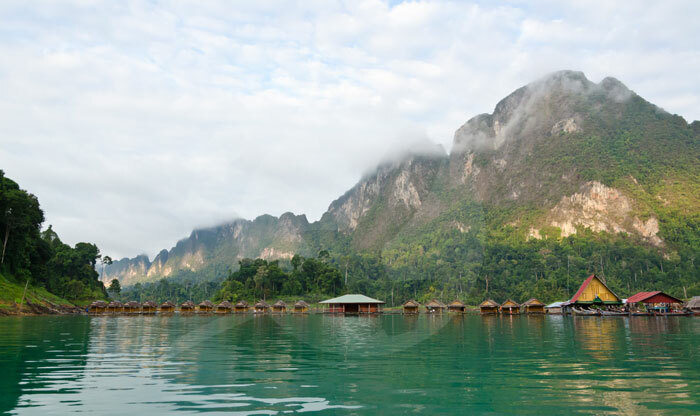 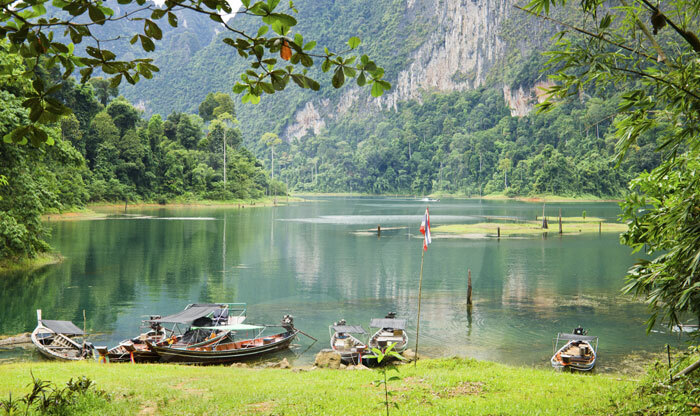 Khao Sok National Park is divided into two sections “Khlong Sok Town” and “Cheow Lan Lake”. 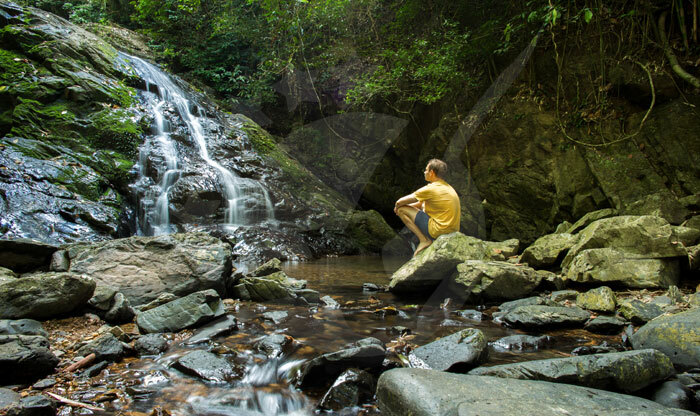 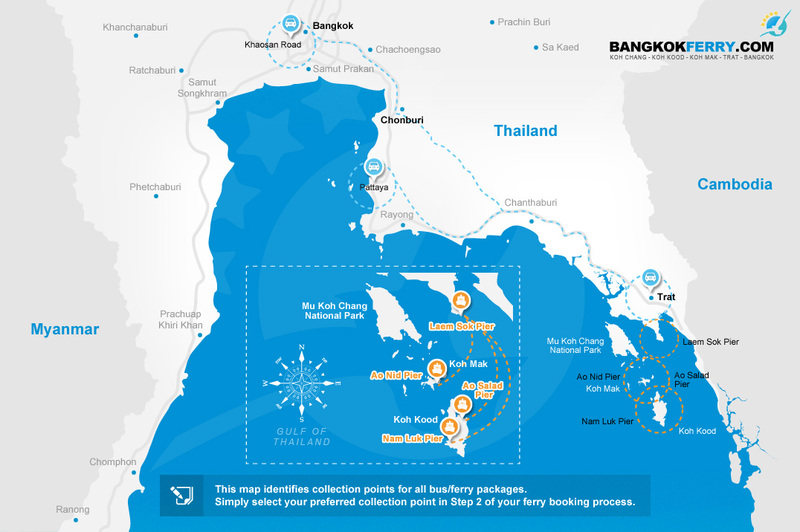 The town is accessible and easy to reach from Khao Lak and Phuket. 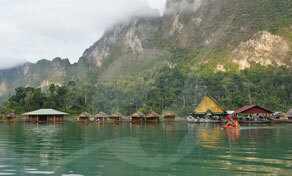 It is full of tourists and has plenty of guesthouses, stores, ATMs, restaurants, and a few bars. 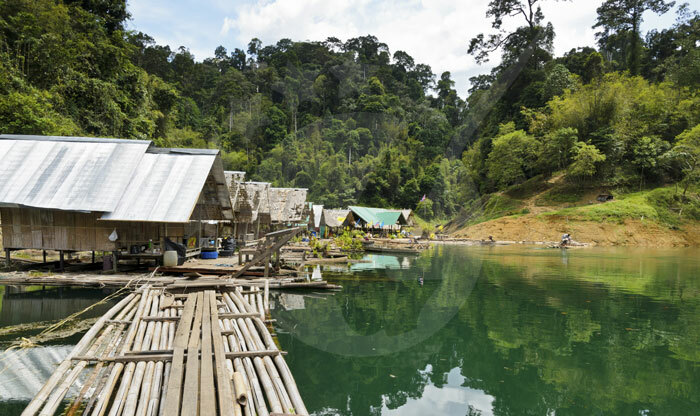 Sok Town is small and it is the base for exploring the National Park.